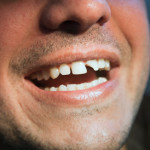 Sedation in Mexico: Get Painless Dentistry! I.V. sedation performed in one of Dayo Dental’s partner facilities in Los Algodones. 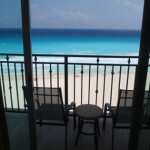 Looking for pain free dentistry in Mexico? Dental treatment can be scary for many, especially those who have had unpleasant experiences with the dentist in the past. 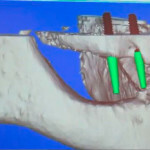 It is for such patients that sedation dentistry in Mexico is a great option. Sedation or “sleep” dentistry can also be called painless dentistry. Any dental treatment that is performed while you are sedated or unconscious is part of sedation dentistry. Pharmacological agents are administered into your body to slow down your conscious awareness during the dental treatment. Your Mexican dentist uses sedation not only address the pain. It is also administered to address your nervous feeling of getting major dental work. Why Sedation Dental Treatment in Mexico? 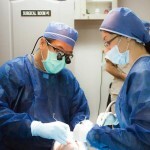 Some facilties, such as Dr. Ceballos in Tijuana, are fully equipped for Gas Sedation. Mexico is home to some of the best dentists for sedation. In the hands of an experienced team, you have nothing to fear when travelling to Mexico for painless dentistry. More comfort during dental treatment. You won’t even know you had a major dental procedure. More patient cooperation for patients with anxiety. Easier for the dentist to perform treatment. Saves time for both the dentist and patient. How is Sedation performed by the dentist in Mexico? Except for Oral Sedation, all the sedation procedures are performed by an Anesthesiologist present during your dental procedure or oral surgery. Anesthesiologists are medical doctors that have a specialty in administering a variety of anesthetics to medical and dental patients. Levels Description State of Awareness Quickly Reversible? Can you drive after? Inhalation Sedation* Nitrous oxide or “laughing gas” is inhaled through a mask to calm your nerves. You can follow some instructions, such as open your mouth and move your head. You won’t remember what happened after the procedure. You feel conscious quickly after the doctor stops the inhalation. Your system gets rid of the gas quickly. Oral sedation Pills or liquids are given minutes before the dental procedure to help overcome your nervousness. You are aware, but you are in a very relaxed state. The effect of the drugs continues until your system gets rid of it. You have to give your system enough time to process the sedative. I.V. Sedation Drugs are given directly into your blood stream through a vein. This is known as Conscious Intra-Venous Sedation. IV sedatives act fast and can easily be reversed once the procedure is over. You can walk and talk shortly after the procedure. You have to give your system time to process the sedative. General Anesthesia Also known as Sleep Dentistry, it is preferred when you are to undergo an extensive and long dental treatment such as sinus lift or multiple extractions from an oral surgeon. You are completely unconscious and unaware of your surroundings. You could feel sleepy for several hours after the procedure. * Unlike in the US, Inhalation Sedation is not very common in Mexico. Mexico dentists are not allowed to provide gas sedation unless their facility are equipped with gas tanks and that they have an anesthesiologist that can administer the procedure. In the Dayo Dental network, gaseous sedation is available for some dental facilities within a hospital dental building. Before choosing any dental treatment that requires sedation, there are certain factors to consider. Your dentist will check your overall health and blood work before you undergo deep sedation procedures such as IV and general anesthesia. Not every dental treatment requires sedation and it is a matter of your choice and need. 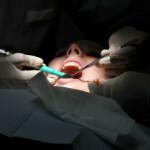 Your Mexico dentist will help you choose the best type of sedation dentistry for your dental case. If you choose right, you can find an experienced Mexico dentist and anesthesiologist that are fully capable of performing painless dentistry safely and effectively. You have nothing to fear! To learn more about finding an experienced Dentist in Mexico who is highly qualified with sedation dentistry, contact Dayo Dental or called 877-987-3296. This article is written by Dayo Dental to provide you general information about dentistry. It is not intended to provide specific dental treatment advice about your dental case. Consult with your dentist for professional recommendations about your dental care.